There are hundreds of effective ways to play golf and even more ways to make a positive consistent golf swing. 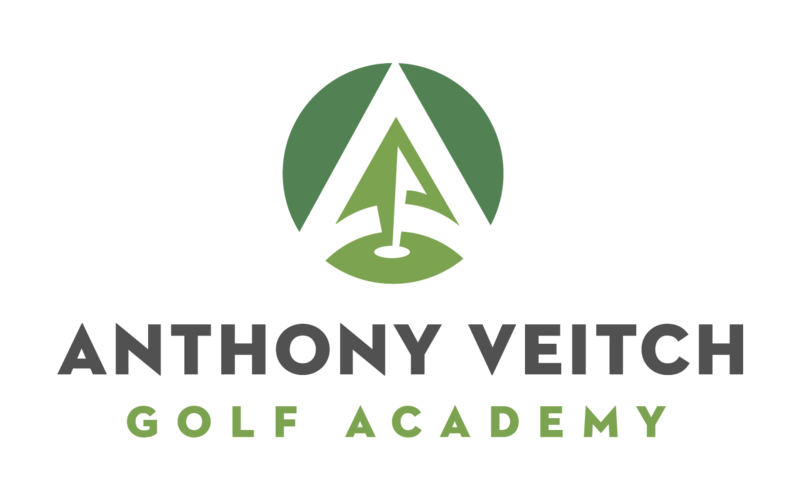 With thousands of private lessons taught and over 18 years teaching experience Anthony has the ability to instruct the golf swing in a variety of different methods. This provides students with customizable instruction which leads to faster and more efficient improvement while minimizing frustration by working within the players existing instincts. *Private clinic, corporate event, pre-tournament and large group rates are available, contact us for more information. No two golfers are exactly alike and as such we can create a package that best suits your needs. These lesson packages all have one thing in common - Value! Save over 20% when selecting a package over individual lessons. Contact us to discuss customizing a package that best suits you. This 5 lesson package has become a favorite for new golfers. Get golf ready in 5 lessons - whether this is your starting point for a long future in the game or your boss is sending you to the company tournament and you are looking to avoid embarrassment this is the package for you. Introduction to Golf consists of 5 lessons. The first four 40 minute lessons focus on all of the basic fundamentals of the golf swing. Step by step we will teach grip, stance, posture and alignment. You will soon learn what your individual clubs are intended to do as we work through iron play, hybrids, fairway woods, chipping and putting. The series concludes with a 2 hour on course playing lesson where the fundamentals are put into play. The on course lessons also includes basic rules information as well as information on general etiquette. This 5 lesson series is most popular with established players looking to take their game to the next level. Like many popular packages it consists of a total of 5 hours of instruction over 4 private 40 minute lessons and 1 two hour playing lesson. This goals focused package drills down on individual needs based on an agreed upon assessment of a players strengths and weaknesses. Additional focus is put on consistency, scoring and course management. If its time to look at breaking 100 or maybe even 90 this is the package for you. This package best suits the single digit or aspiring single digit handicapper. A favorite among members, club champions and golf fanatics the advanced coaching package is 10 hours of highly customized instruction and supervised practice. Players choosing this package look for shorter duration lessons (usually 30 mins) but want them more frequently. This allows for fine tuning and most importantly maintaining high levels of play. Shot shaping, scoring, mental approach, and advanced course management are popular topics for students choosing this package. Talk to Head Golf Professional Anthony Veitch about building out a golf lesson package that suits your needs today.